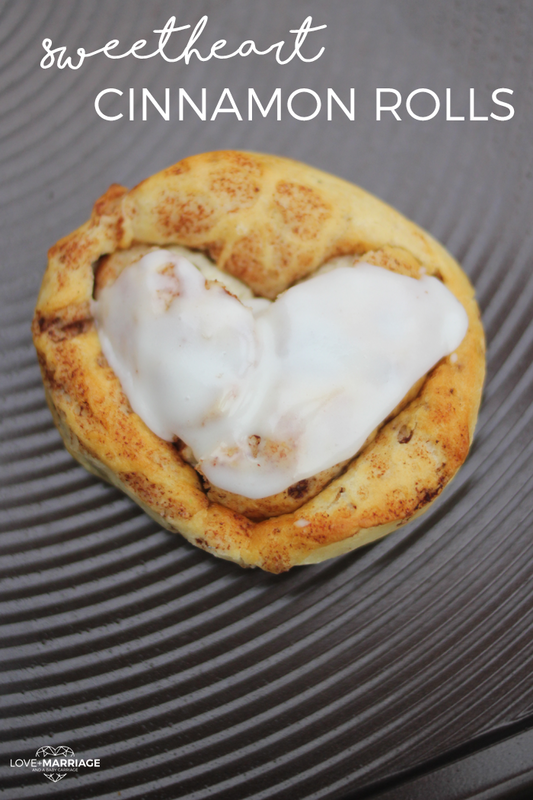 I’ve got a new fun way to make your favorite sweet breakfast – sweetheart cinnamon rolls! It’s really easy but just adds a fun and sweet little twist for a festive morning. It would be great to make to celebrate a birthday, a wedding, anniversary, holiday or just a day when you want to make someone smile. I just received some new cookware from Circulon® and was most excited about the chocolate brown cookie pan. 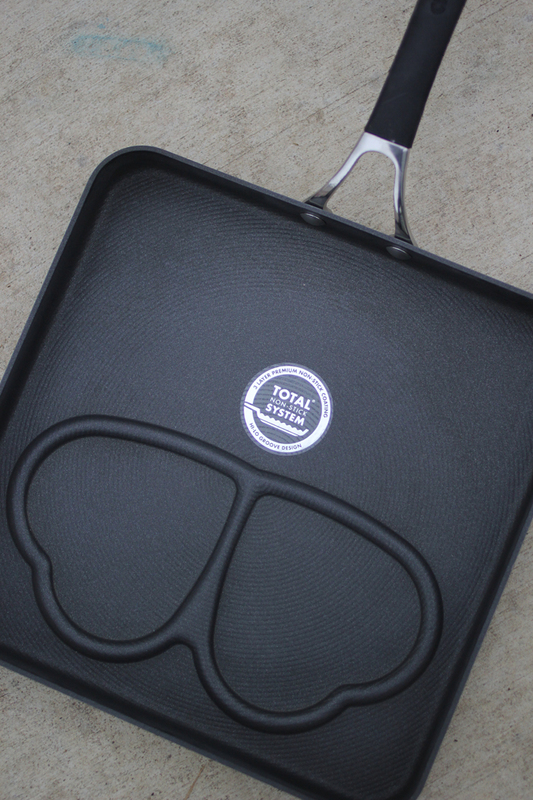 The bakeware is made from durable steel construction and it’s still dishwasher safe. 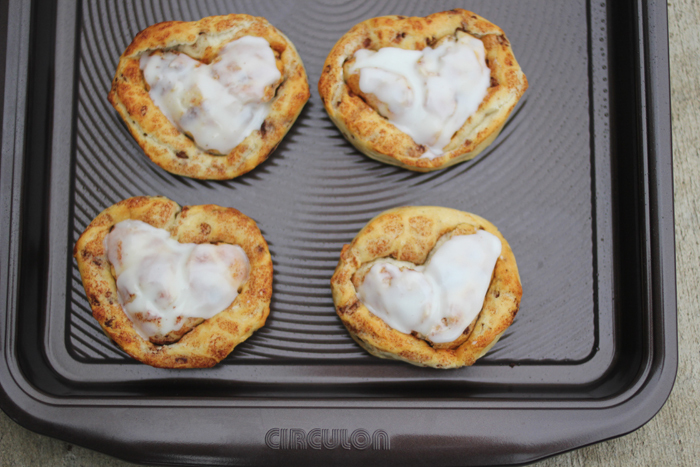 Once you’ve made your favorite cinnamon roll, use a slightly smaller heart shaped cookie cutter to press down in the middle. This creates the perfect little spot to hold your icing! Spread your icing in the center while it’s still warm so it will melt and fill up the heart. Isn’t it cute? Circulon’s unique circle surface is combined with premium metal-utensil safe nonstick for superior performance that lasts.This cookware really is nonstick! This is the perfect addition to your wedding or gift registry! By registering for Circulon at Macy’s or Kohl’s and completing the registry you will get this Sweetheart Pan and a 9.5-inch open stir fry pan for free! The four pans included in this set are really all you need. There aren’t many meals that could not be prepared with the assortment in the starter pack. We have a Circulon pan in our kitchen right now and it is incredibly durable. the pan is so cute! I’d love to experiment with new recipes using this! Love the hearts too cute. I would love to win this starter set. We would get so much use out of them in my house. We could definitely use new cookware. 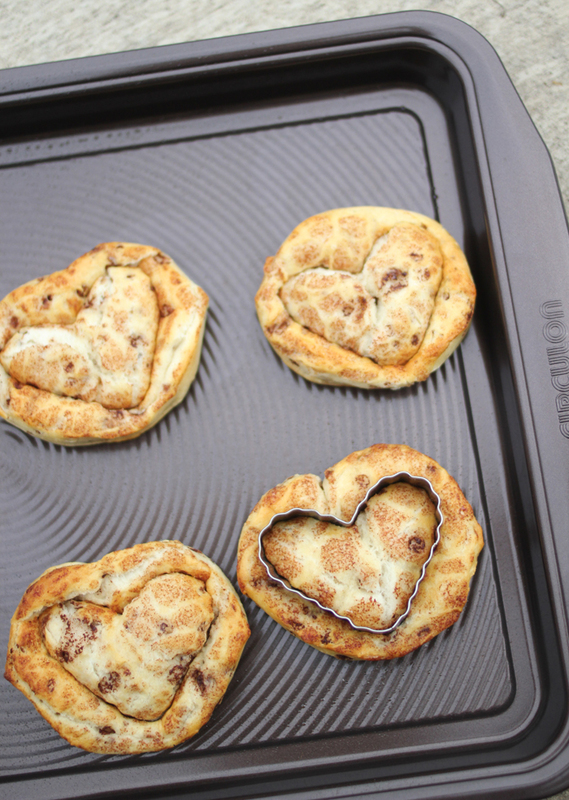 Your cinnamon rolls are making me so hungry! Circulon is my favorite non-stick brand. 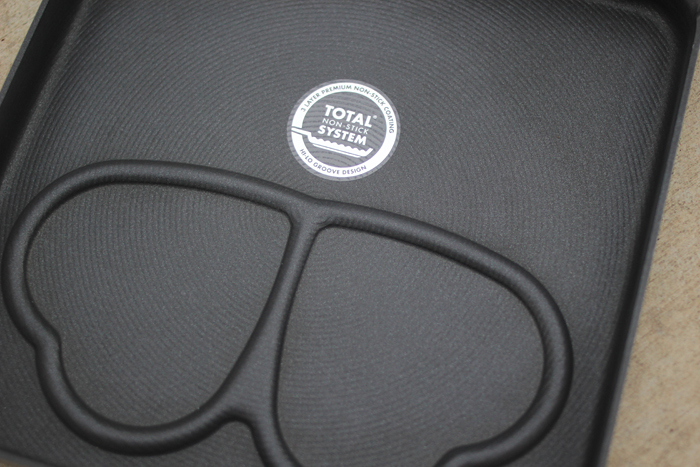 It’s so lightweight, does an fantastic job of cooking evenly, and is a joy to clean. Cinnamon rolls with icing are so delicious! I’d love to be entered to win the Circulon set. I think that Sweetheart Pan is so stinking cute!! I must have one of those!